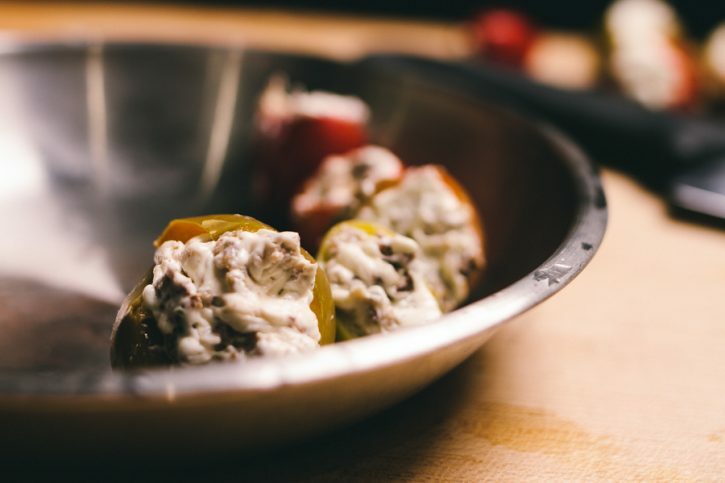 Thanks our never ending quest to find ways to stuff cheese and other fillings into chiles and wrap them in pork, we bring you the prosciutto wrapped, sausage and cream cheese stuffed pickled pepper popper. Enjoy! 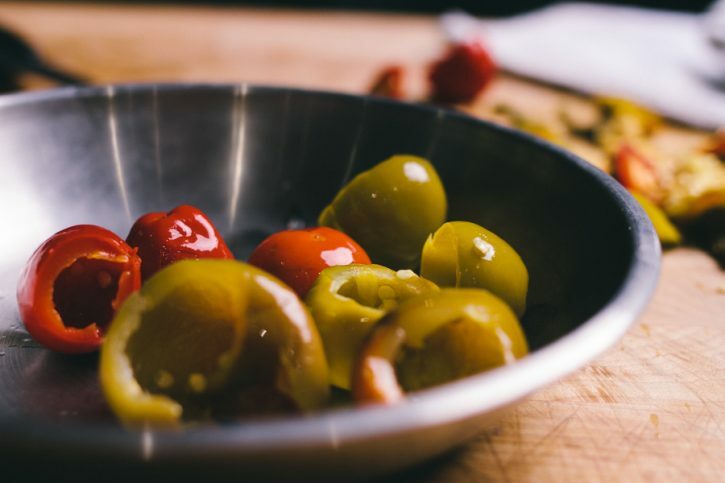 After trying a couple (okay, like six) variations, we found the pickled sweet cherry pepper to pair best with the cream cheese and country sausage filling. Be sure to rinse your peppers before stuffing them. There will be plenty of briny, vinegary flavor within the flesh of the pepper. No need for excess on the surface. One of the simplest and most efficient ways to stuff any pipe-able filling is to put it in a heavy duty zip top bag and snip a corner. Voilà! Easy piping bag! The creaminess of the cheese and the supple fatty prosciutto cut really compliment the pickled pepper. And adding a little crisp on the grill perfectly balances the textures! 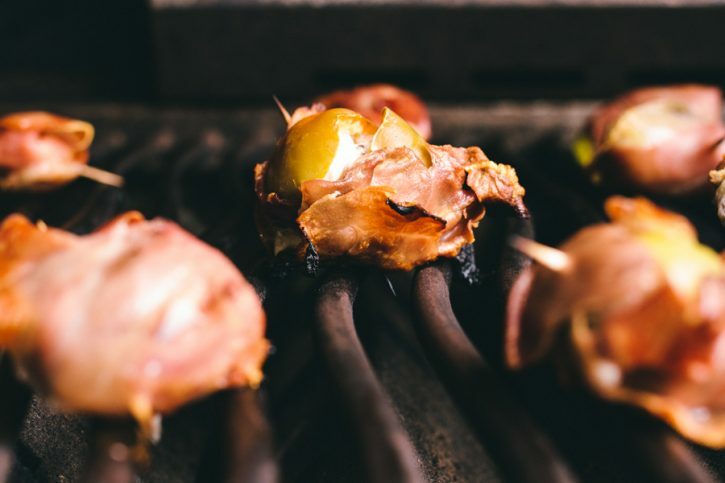 Preheat your grill to high heat (425ºF+), set up for direct grilling. Remove the stems and seeds from the peppers. Rinse the peppers under cool water. Shake off excess water. Mix the cream cheese and sausage together, then transfer to a quart sized zip top bag. Cut off one corner of the bag. Pipe the mixture into the peppers. 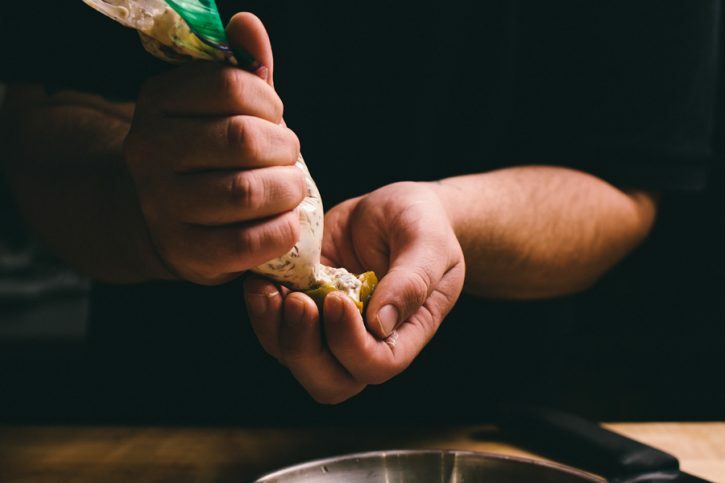 Wrap each pepper in a slice of prosciutto and secure with a toothpick. 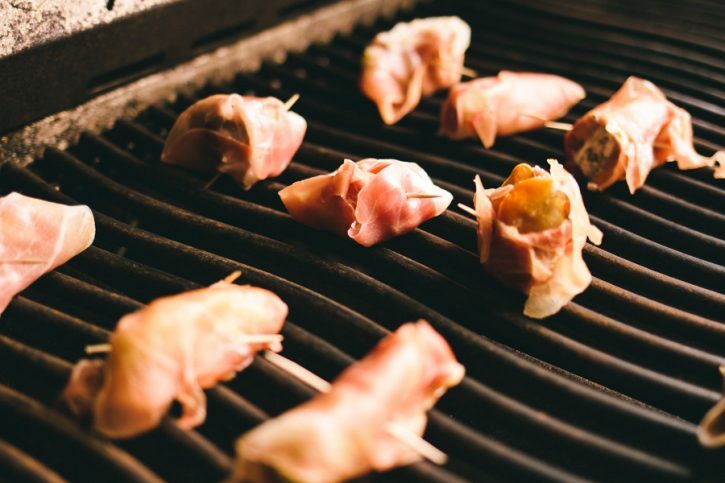 Grill until the prosciutto is crispy and the cheese begins oozing out, about 10 minutes.